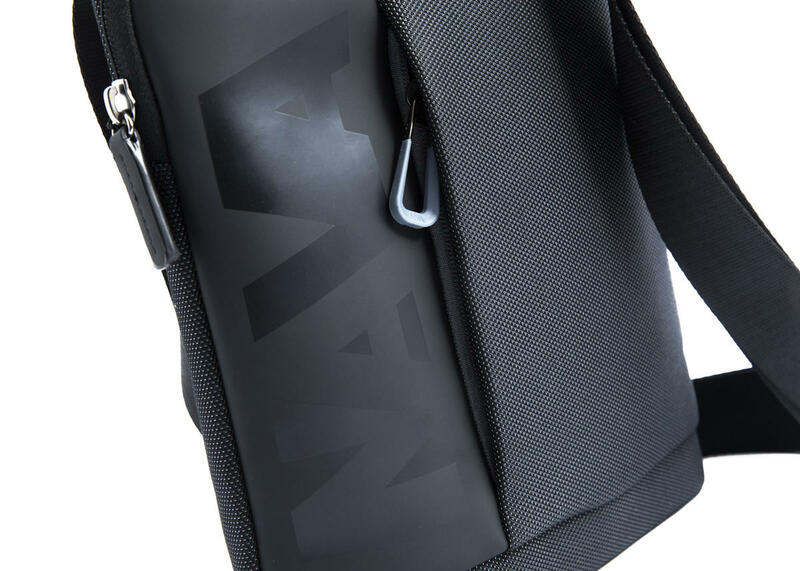 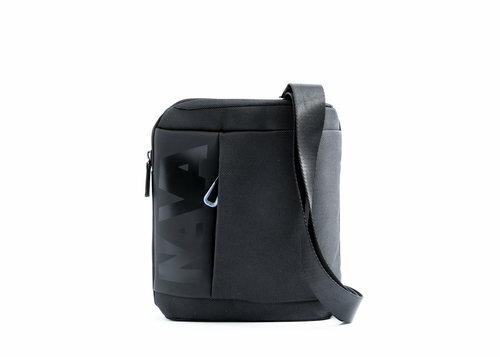 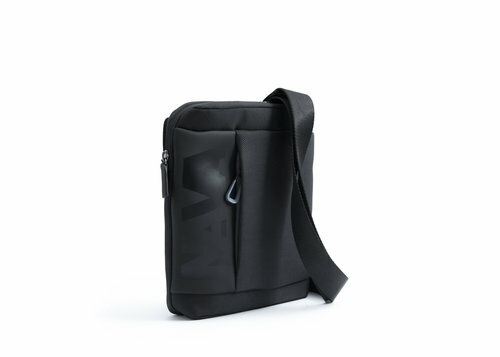 Cross collection shoulder bag made of polyester fabric with PU front logo. 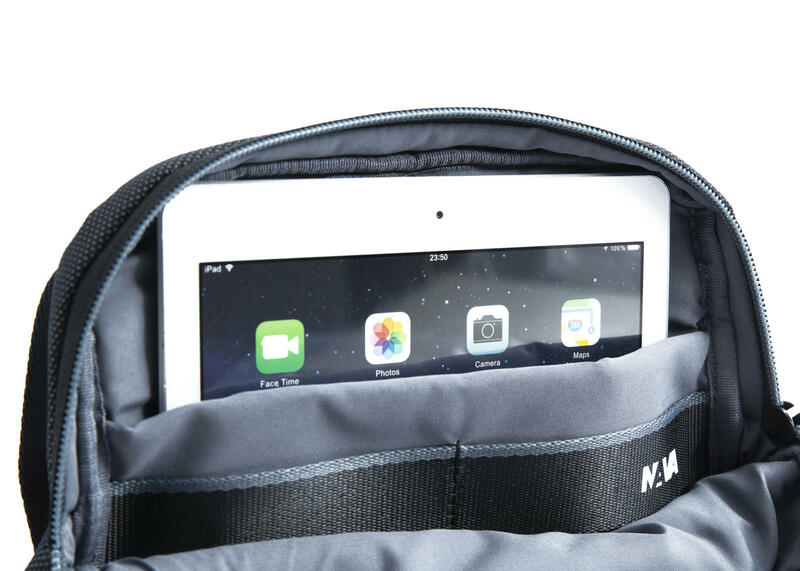 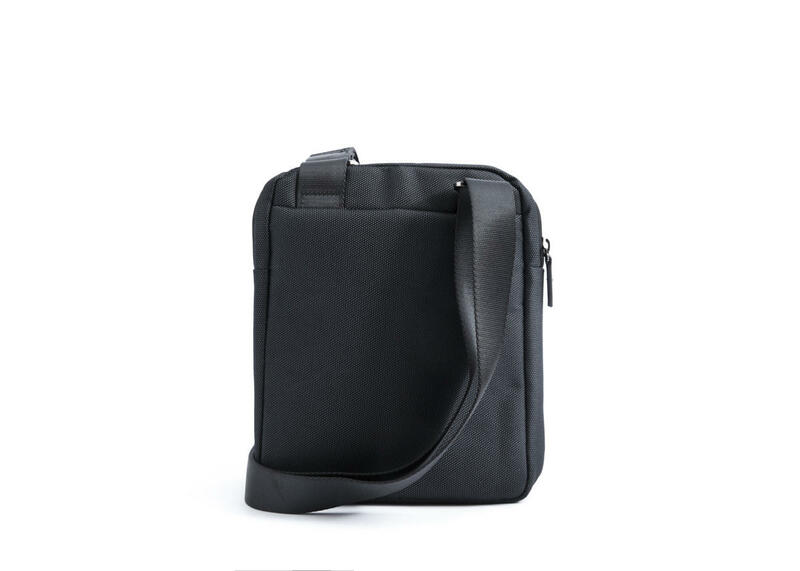 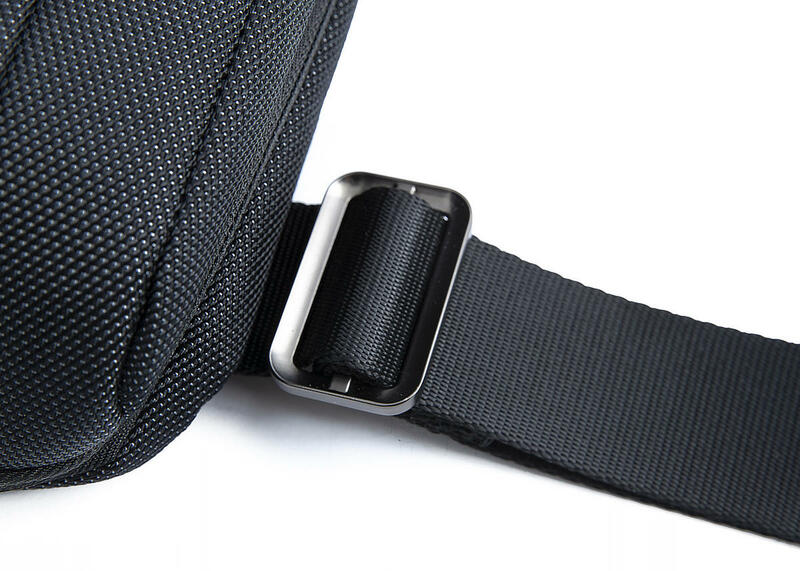 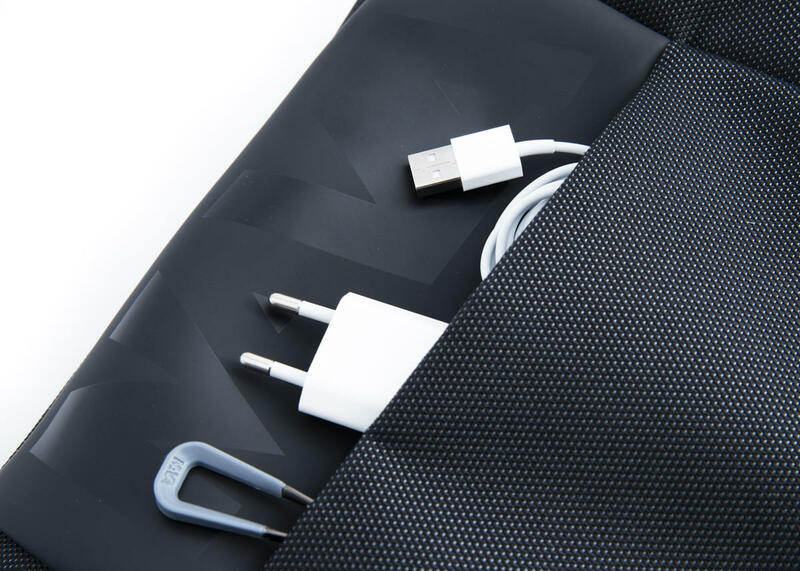 A practical and light bag with padded tablet pocket ideal for urban transport of essential objects. Front pocket closed with contrasting colored zip. 11.4 x 8.7 x 2.8 "